Hey guys! 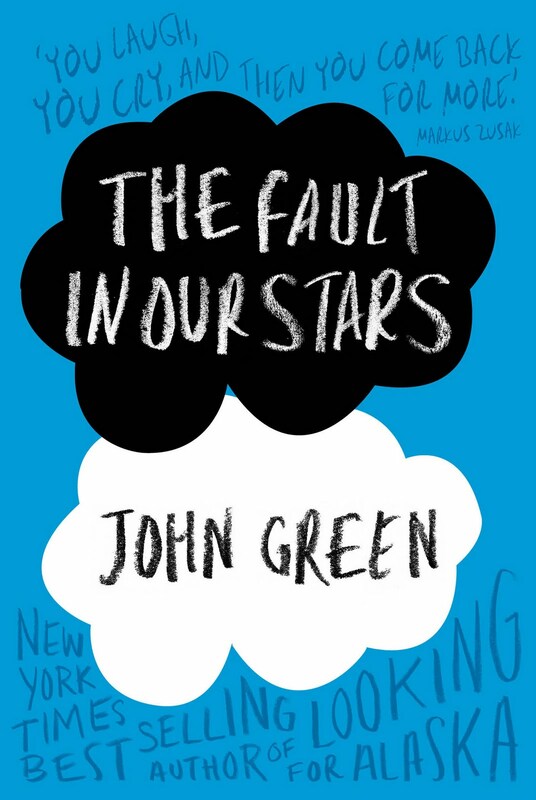 A few weeks ago, I read The Fault In Our Stars by John Green. I've heard a lot of good comments about this book, and thought that I should give it a go as well. So here's the review. Enjoy! I loved this book! I can see why everyone was going crazy over it. It's so sad. I literally cried myself to sleep the night I finished reading it. 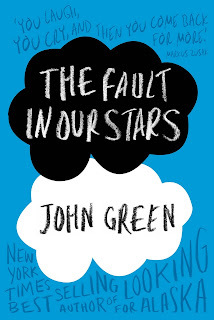 The way John Green wrote the death scene was so cruel. it was like "8 days later ____ died." It's just so heartless and sad. He wrote it in such a simple way. Most of the times in books, the deaths are dramatic and what not. Like a battle scene where he was stabbed and gave himself up for his one true love or something. But here it was just the person died. Like really?! Hazel is an awesome girl! She doesn't go around moping that she has cancer like some people do. But neither does she go out of her way to make life amazing! She's a really person who's just like, " Yeah, I got cancer. Deal with it. I'll die. But so will you. Who cares?" and she just goes about her normal life. And then Gus walks in and asdfghjkl. Augustus Waters (Gus) is amazing. If I were to date someone I'd hope they were like him. I love his obsession with metaphors. It kinda got me obsessed as well. Before Gus came around Hazel didn't have anything to do. She was just bored and went through this routine. Gus.. He made her happy. Isaac has the worst luck. Okay. Not the worst worst. But jeez was his girlfriend cruel! I love how Gus made him feel better though. Dear me, Gus seems to help everyone. Anyways, this book is heartbreaking. And I would love to spill the secret to you, but in case you didn't read this yet I won't say why it's so sad. I give this a 5/5. Just because of how well written it is (proved by how sad much it was able to get to so many people including myself).